As the few remaining dentists making the switch from film to digital imagery have found, there are many uses for digital imaging in dentistry—but the risk of radiation has gotten a lot of attention in the media. Considering the influx of CBCT scans in oral surgery, endodontics, and orthodontics, among other specialties, many dentists believe the low exposure rates are worth the advancements in diagnostics and patient care. 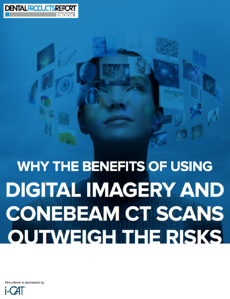 In this ebook, you’ll see how several dentists use CBCT scans in their practice. You will also learn how they open up the lines of communication with their patients to present the truth about exposure.